(Newser) – The US government has mistakenly granted citizenship to at least 858 immigrants from countries of concern to national security or with high rates of immigration fraud who had pending deportation orders, according to an internal Homeland Security audit. 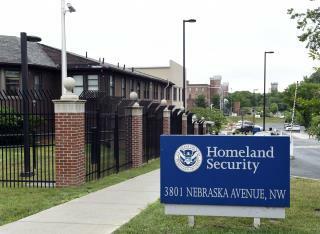 The Homeland Security Department's inspector general found that the immigrants used different names or birth dates to apply for citizenship with US Citizenship and Immigration Services and that such discrepancies weren't caught because their fingerprints were missing from government databases, the AP reports. DHS said an initial review of these cases suggest that some of the individuals may have ultimately qualified for citizenship anyway, and that the lack of digital fingerprint records does not necessarily mean they committed fraud. damn my ogf got back in again damn! Thanks Prez Obama & his DUMOCRAT " Sanctuary Cities" Buddies! For the NO Enforcement of IMMIGRATION LAWS sine JAN 2009! Can't hardly wait for the END of an ERROR on Jan 20.2017! When the next POTUS TRUMP with the GOP who keeps Control of both HOUSE & SENATE Fix the MESS Ex-Prez Obama & His DUMOCRAT Buddies left us! Ahhhh...what a Great America it will be! There ya go ALL! The news report is sloppy, and leaves too much for presumptuous daily idlers to spout xenophobic vitriol.